Domotex Hannover 2019 runs from 11st to 14th January. The year starts with the important meeting in Germany, where the flooring professionals attend to kick off the new collections, survey the market, maintain important partnership and make new contacts. The organization hopes to improve the great results obtained in the last edition, with over 38,000 attendees from more than 60 countries, who were able to visit the more than 1,400 exhibitors, distributed in a displayed area that exceeded 90,000 m2. 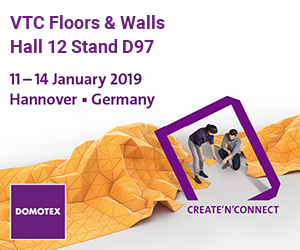 Knowing the global importance of the event, and after the success obtained last year as a factory, VTC is excited to be showcasing in Domotex Hannover. Visitors highlighted the great mix of design we displayed in our booth and the potential that our patented products add to the market. In the next edition, 2019, we want to surprise everyone again with our novelties, some of which will be presented exclusively. 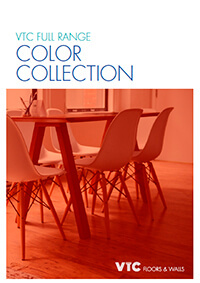 Our partner and official distributor in Europe, Euro Trade Flooring, will be with us to present its new WPC Living Plus Collection, composed by 7 unique designs, which has already been presented in Spain for the Contract-Hospitality in one of the most important showrooms in the sector: InteriHotel. For them, this is the fourth time they exhibit in Domotex Hannover and we count on their experience to get the maximum performance of the fair and show all the best we can offer to the attendees. Both teams are already preparing the last details for this new opportunity to present our products to the world.